 Iran, March 24, 2019 - Members of Resistance Units, a network associated directly to the Iranian opposition group People's Mojahedin Organization of Iran (PMOI/MEK), are sending messages marking Nowruz, the Iranian calendar new year. In Tehran and Hamedan, members of numerous resistance units put up posters quoting opposition leaders, including Iranian Resistance leader Massoud Rajavi and opposition President Maryam Rajavi, head of the National Council of Resistance of Iran (NCRI). PMOI/MEK supporters and resistance unit members in Tehran, Iranshahr, Sarpol Zahab, Qazvin and Qom sent messages of support and solidarity, and wishing for a free Iran in the coming new year. Resistance Units in Zahedan, Tehran, Arak, Urmia and Bafq sent messages to Iranian Resistance leaders marking the new year and pledging to continue their struggle. In Ahvaz, Mahshahr, Tehran, Hendijan and Karaj, resistance unit members sent similar messages, also keeping in mind political prisoners and their struggles in the regime’s jails across the country. Members of more resistance units in Tehran, Larestan, Dezful, Izeh, Lahijan, Isfahan and Mashhad, which include a number of major cities, took to graffiti, putting up posters and spreading traditional Nowruz table sheets to express their new year messages. One of the resistance units sent a Nowruz message form the Imam Reza shrine in Mashhad, northeast Iran. In the cities of Sari, Hamedan, Karaj and Shiraz more resistance units sent Nowruz messages and even playing music to mark this occasion.